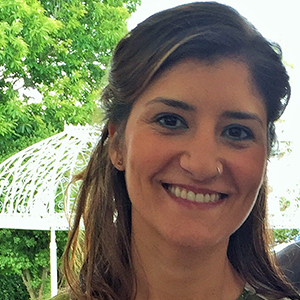 Lorena Diéguez joined INL in 2014 as Staff Researcher and is, since May 2018, the leader of the Medical Devices group. Her research is focused in the development of biomicrofluidic devices mainly devoted to Translational Medical Research in close collaboration with Hospitals. For that purpose, her work is devoted to the development of integrated biosensing systems and nanobioengineered diagnostics microsystems for the isolation and characterization of Tumor Cells from body fluids of cancer patients, as well as the development of microfluidic organ-on-a-chip 3D models. Lorena is also very interested in translating her technology from the lab to the clinic, and she has been very active in her endeavours as entrepreneur, creating the spin-off company RUBYnanomed in the field of liquid biopsy. She obtained her Bachelor’s degree in Physics and her Masters in Optoelectronics at the University of Santiago de Compostela in 2005, then completed her Masters in Nanoscience and Nanotechnology at the University of Barcelona (UB) in 2007 and obtained her PhD in Nanosciences in optical and electrochemical biosensors at the Institute for Bioengineering of Catalonia and the ETH Zürich. Her postdoctoral research at the University of South Australia (UniSA) from 2010 was devoted to the study of rare cells from biological samples using microfluidics. M. Prado, B. Espiña, M.T. Fernandez-Argüelles, L. Diéguez, P. Fuciños, S. Vial, J.M. Oliveira, R.L. Reis, K. Boehme. Detection of Foodborne Pathogens Using Nanoparticles. Advantages and Trends. Efficient microfluidic negative enrichment of circulating tumor cells in blood using roughened PDMS. Robust and Flexible Fabrication of Chemical Micropatterns for Tumour Spheroid Preparation. Electrochemically controlled deposition and dissolution of PLL/DNA multilayers. Effect of the Refractive Index of Buffer Solutions in Evanescent Optical Biosensors.